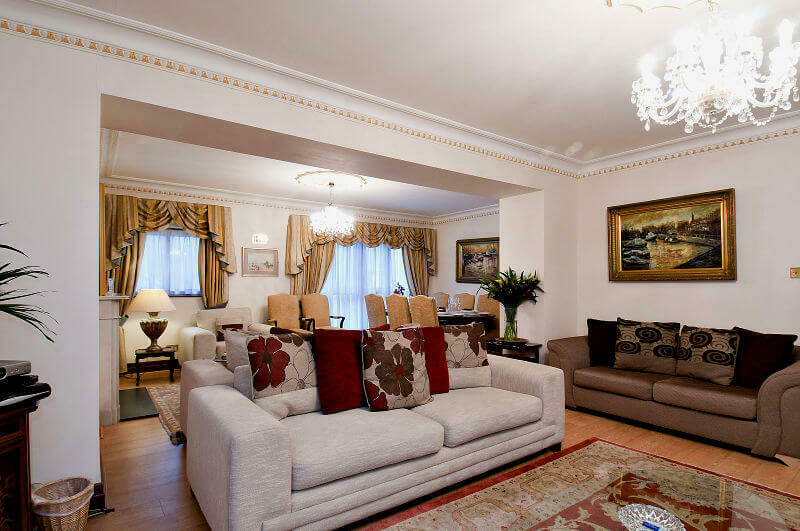 Carlton Court in Mayfair has absolutely everything that you could possibly need for vacation rentals in Central London. Situated in the heart of London’s Mayfair, it is just about as central in the city as you could possibly get. It is just a few minutes’ walk from the very finest shopping – Selfridges, John Lewis, and Debenham’s in Oxford Street, and Harrods and Harvey Nicholls in Knightsbridge. Piccadilly and Regent Street are not far away either. Sporting some of the finest hotels in London – The Dorchester, London Hilton, Grosvenor House - Park Lane is also just a couple of minutes away. Step across Park Lane and you are in one of the Royal Parks, Hyde Park. Some of the world’s top restaurants are to be found here as well, along with nightclubs, bars, and some old English pubs. If you like to go to a musical or watch a play, there are some of the best theatres here also. Of course, there are so many other things to do on a vacation in London. For instance, there is the famous Madame Tussaud’s where you can see lifelike waxworks of famous people, living or dead, and not far away is Regents Park Zoo with its’ huge collection of wildlife. If cricket is something that you enjoy, Lords Cricket Ground is just up the road from here as well. Then there is the British Museum, The Natural History Museum, Buckingham Palace – the list of things to do and see is endless and you will never cover them all in a fortnight. However, staying at Carlton Court means that you will be right at the centre of the action. If you want unashamed luxury for your vacation you will find it here, where you have far more space in which to relax than in a hotel room. Impeccably furnished with no expense spared, Carlton Court gives you 24 hour security and concierge service, high speed broadband, the latest TV’s in every room with over 2,000 satellite channels in multiple languages, king sized beds, and even your own safe with your own code to protect your valuables. You get all of this, and more, for far less than the cost of a hotel room.